John believes in giving dancers a FUN time. He does not believe rushing dancers through any teaching process. John has been calling since 1969. He is the Club Caller for the Meri Squares (MS/P), and Charmin' Promenaders (P). 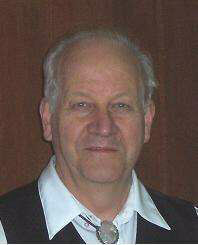 John is well known in the Ottawa area for his clear voice and excellent choice of music. He also teaches and cues round at the Phase II and III level. He currently has a round dance club called Stepping Out Rounds. Copyright © 2013 Vic Ceder. All Rights Reserved.